Home Executive Spotlight Executive Spotlight: Interview with Helene Fisher, President of Mission Services and Solutions, DLH Corp.
Executive Spotlight sat down with Helene Fisher, president of mission services and solutions, to discuss DLH Corp.’s work serving federal healthcare customers, the future of machine learning in the healthcare market and where she sees the company providing solutions moving forward. 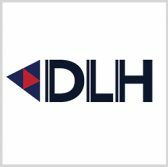 ExecutiveBiz: Where has DLH had its greatest impact within federal healthcare and human services? Helene Fisher: DLH has had the privilege to make a tremendous positive impact within the federal healthcare and human services area in ways that have helped improve peoples’ lives. Over the past decade, our team has supported major contracts with the Veterans Administration and the Office of Head Start, an Office of the Administration for Children and Families, with passionate and committed support in areas including program management and technology-enabled health solutions serving veterans, children and families in need. ExecutiveBiz: Where do you see the greatest opportunities to help government agencies with healthcare changes? Streamlining data acquisition, management and processing while adhering to security and privacy regulations and standards. Developing scalable solutions that are vendor and product agnostic. Creating next-generation gateways that promote data integration among agencies while maintaining data source integrity, chain of custody and ownership. ExecutiveBiz: What role do you see artificial intelligence and machine learning playing in the future of healthcare? Improved reliability and repeatability using reconfigurable business rules, validated through AI mechanisms on a regular basis using real data and transactions. Increased efficiency and scalability through the use of automation (rules, data processing, transaction management, etc.). Enhanced data privacy and security with added AI and machine learning methods that can detect fraud and malicious data access, while providing new granularity in access control. Trusted gateways that house common tools for data access and collaboration enhanced with AI and machine learning. 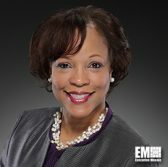 ExecutiveBiz: Are there other technologies that will impact federal healthcare? Trusted hybrid cloud solutions that deliver full control over more sensitive enterprise data when integrating with shared data in the cloud. Standard data exchanges across agencies, hospitals, point-of-care facilities and pharmacies. New data mash-ups that can glean information from ‘other daily living’ behaviors from individuals and patients, while overlaying those metrics on top of healthcare metrics from patient records. ExecutiveBiz: What is the single largest opportunity in federal healthcare? Helene Fisher: Many opportunities lie in solutions that can improve and automate trusted data collaboration between entities, without the need for lengthy negotiations/agreements that limit data access and significantly delay the ability to explore new data patterns in real time. We look forward to being a strong innovations partner for government, so that we can be part of the team that makes these amazing opportunities a reality. Prior to DLH, Helene Fisher held key leadership roles with MAXIMUS Federal Services, as well as several federal civilian agencies. She also worked for Lockheed Martin for 17 years.